Our guest contributor this week is Pat Barch, the Hoffman Estates Historian. This column originally appeared in the October 2017 issue of the Hoffman Estates Citizen, the village’s newsletter. The column appears here, courtesy of the Village of Hoffman Estates. 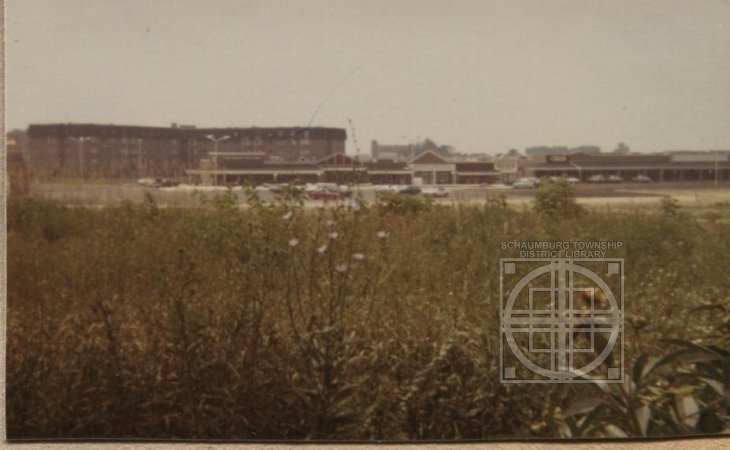 Barrington Square Mall, located on the north side of Higgins Road east of Barrington Road, was so different when it was first built in the early 70s. The main store was Robert Hall Village which was originally located on the southeast corner of Roselle & Golf Roads. That location has also seen many changes. The Robert Hall Village store in Barrington Square became K-Mart and later the Menard’s store that was torn down and that we all miss. Shopping at Barrington Square Mall back in the 70s gave the flavor of town and country. Across Higgins Road, you could clearly see the beautiful large Steinmeyer farmhouse. George Steinmeyer still kept a herd of Black Angus steers out in the fields as well as hay and oats that you could see being harvested each fall. 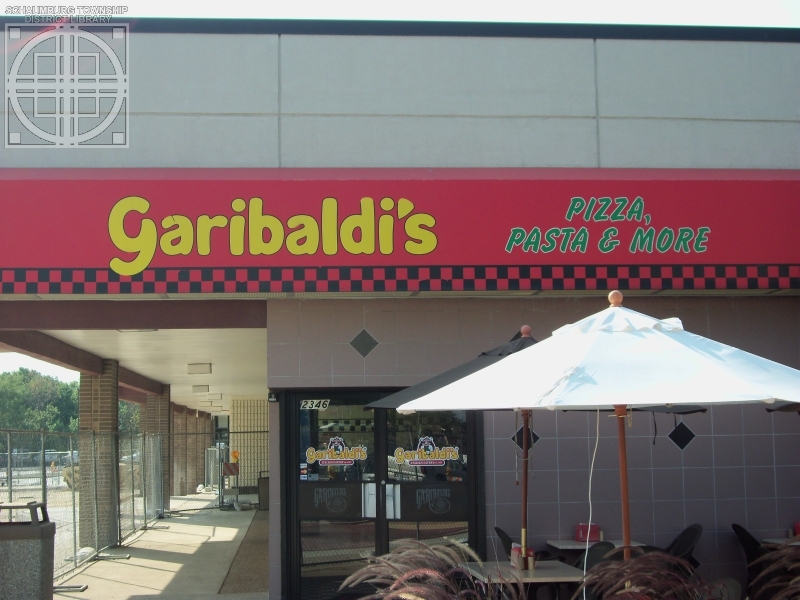 There was a Dominick’s store with Garibaldi’s Pizza on the corner and Flip Side Record store in between. GiGi’s Playhouse is where Dominick’s used to be and the Poplar Creek Bowl is still there. An AMC sixplex movie theater was so popular with my family. Set to the rear of the mall, it only cost $3 for adults and 1.50 for children’s tickets. First run movies were shown then, but AMC sold the theater to Classic Cinema who showed second run movies for only $1.00. One of the favorite afternoons for my kids was to take in a movie and still have money enough to buy a slice of pizza and a cold drink at Garibaldis. The hobby shop was also a favorite with remote control race cars, trains and rockets. A stop in Baskin Robbins was also a frequent activity. Of all the merchants that called the Barrington Square Mall home, the most noteworthy was the Flip Side record shop. In 1978, the Village of Hoffman Estates passed an ordinance that banned the sale of drug paraphernalia and required the merchant to apply for a license to sell such goods at a cost of $150. They would have to keep a record of the customer’s names who bought his merchandise. Flip Side was a very popular record store and the place where the kids lined up to get their concert tickets but were also able to buy drug paraphernalia from a very prominent display of all of these items. Not wanting to obey the ordinance, Flip Side, Inc. sued Hoffman Estates. The Seventh Circuit Court of Appeals agreed with Flip Side but the Village took the fight to the highest court, the United States Supreme Court. Our lawyer, Richard Williams, argued the case before them on Dec. 9, 1981 and on March 3, 1982 Supreme Court Justice Thurgood Marshall read the unanimous decision stating that Hoffman Estates did have a valid & constitutional ordinance. We had won the case that made a difference all around the country. Small shops and stores could see that other villages were writing their own ordinances. Many closed knowing that they had been legislated out of business. Flip Side closed long ago. We also lost Burger King to a larger one at the southeast corner of Barrington & Higgins. The old McDonald’s closed also with a bigger and better restaurant just west of the old one. Stop by Barrington Square Mall and see what’s new. 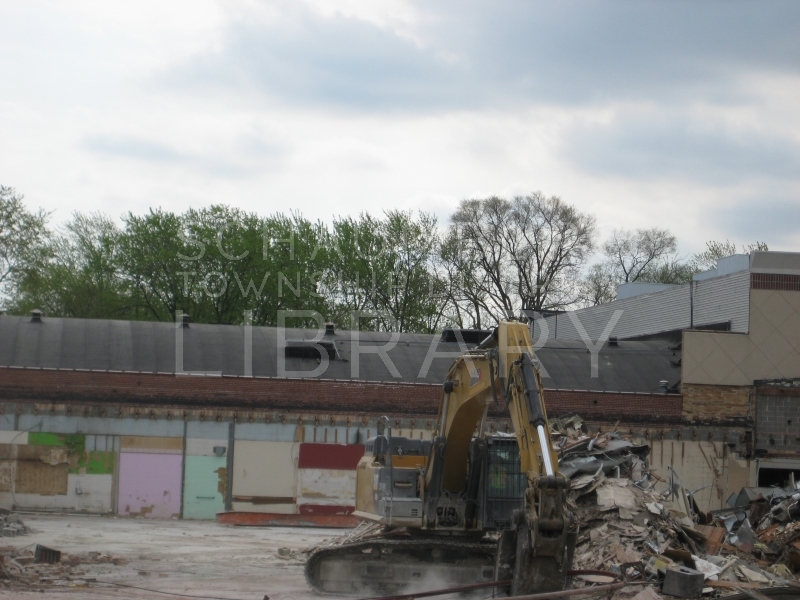 *The photo of the mall at the top of the blog is used courtesy of of the former Profile Publications, Inc. of Crystal Lake, IL. If you have any to add, send a comment to the blog or an email to me. Thank you! Back in April, a blog posting ran on the Tradewinds Shopping Center in Hanover Park that was at the intersection of Barrington and Irving Park Roads. It was a popular posting judging by the number of hits it received. There is a lot of love for this place and clearly many have good memories of shopping, going to the theater and hanging out in the stores and restaurants. One person remembered a pet store that sold fish and I was able to track down Tradewinds Pets & Supplies. He also remembered a coin shop but I’ve had no luck with that. Another remembered a record store which I’ve also not been able to track down. Someone else remembered a shoe repair shop as well. If any of you can come up with any of these three businesses–or any more to add to the list–I’d be happy to oblige. Thank you in advance for wracking your brains! While the old Jewel in Hoffman Plaza is being reconfigured, we’ve been delighted to see remnants of it still visible as the outer facade was torn off. We’ve seen the barrel roof and brick walls that have been uncovered. 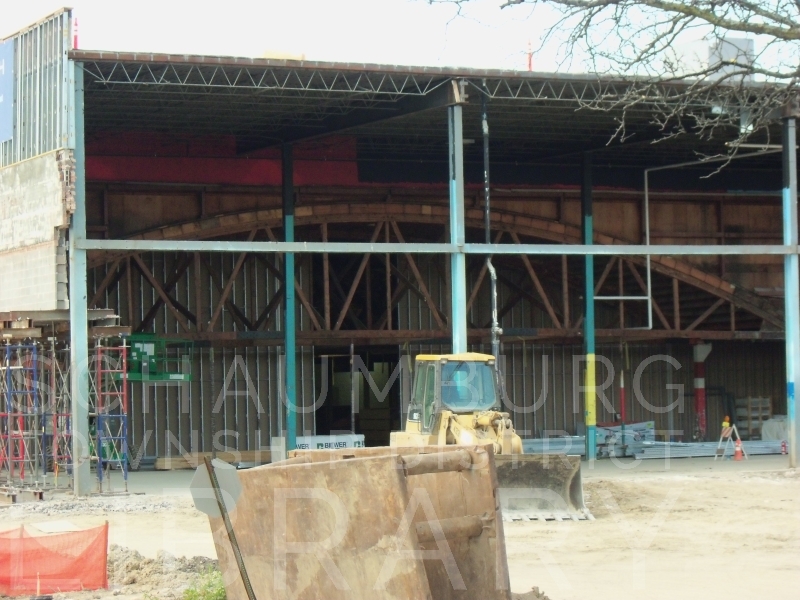 And, just recently while traveling down Roselle Road, I noticed that the curved struts and braces of the interior are now visible. Pat Barch, the Hoffman Estates Historian, noticed the same thing and was able to take the picture below that is even more up close. The condition appears to be quite sound. It is amazing to us that the developers saw the worth in this part of the structure and incorporated it as part of the new building. It’s fascinating to consider that this structure is now almost 60 years old. This brief timeline of Jewel in Hoffman Plaza gives you an idea of the importance of this location. Jewel opened Summer of 1959. Osco opened in the Jewel in September 1964. The Jewel-Osco relocated to its current location on April 14, 1973.
Who knows if the old Jewel will ever be uncovered again? We’re just glad that we got a glimpse of it before it was encased in the redeveloped Burlington Coat Factory. It was nice to take the photographs when the opportunity presented itself! When I looked closer I realized what I was seeing. It was the roof and brick outline of the original Jewel that opened in Hoffman Plaza. 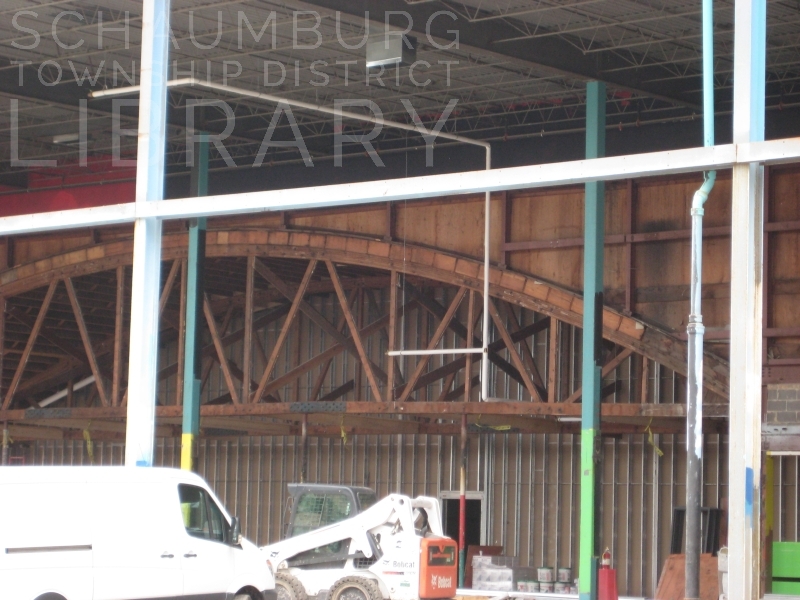 Hidden for all of these years behind the more modern facade of the plaza were the round barrel roof and brick walls of the first Jewel to make its way to Schaumburg Township. 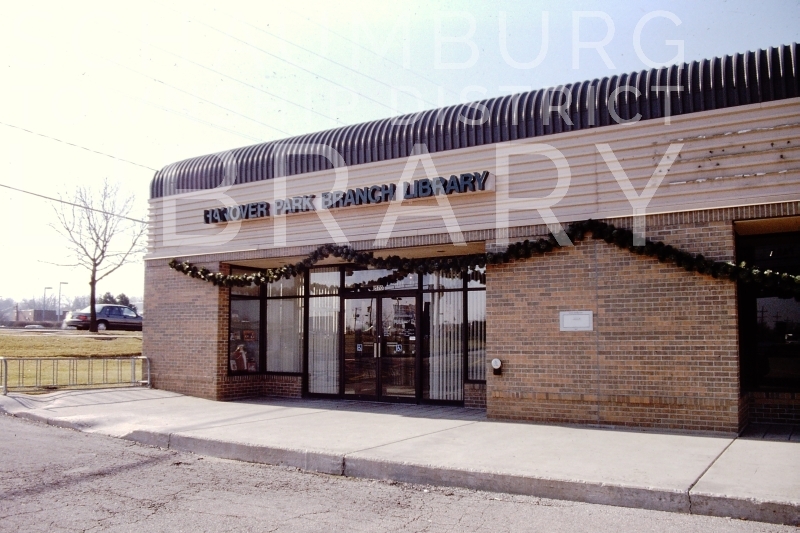 This Jewel opened in the summer of 1959 and faced Higgins Road. A line of shops extending to the west towards Roselle Road were connected to it. Snyder Walgreen Drug Agency was one of those that opened at the same time. As Pat said in her column, Ben Franklin, Twinbrook Hardware, Turpin Fabrics & Drapery, a beauty shop owned by Frank Vaccaro and a doctor’s office opened later in 1959 and on into 1960. If you spot anything, chime in and let me know. And, for those of you who do not live in the area, just a heads up that a Burlington Store is planned for the shopping center. (Click on the photo below and you can see the sign off to the left.) According to a Daily Herald article from April 19, 2017, a 50,000 square foot store will open in the location of the former Dania furniture store. With a light now at the entrance to the shopping center on Roselle Road, it should make for some easy shopping! Many thanks to Pat Barch for jumping in her car to take the photo of the Jewel in the early morning hours and some of the others you see here. 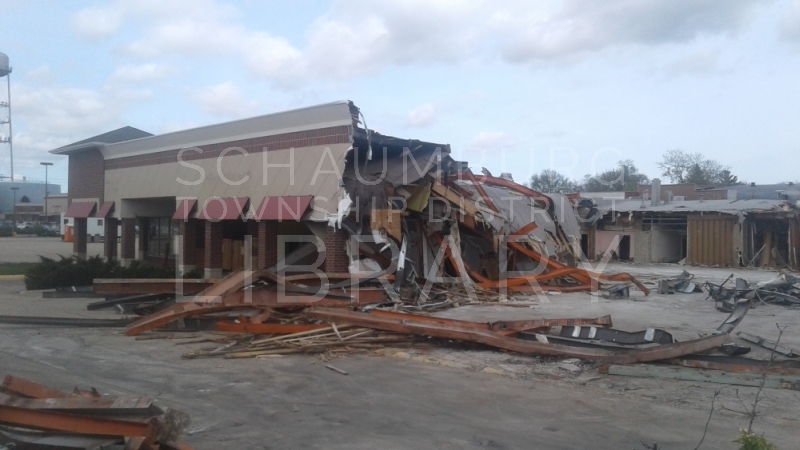 Teardowns can happen so fast that it’s necessary to get there as fast as we can. I appreciate her alacrity! The year 1968 was a big one for Hanover Park. Anne Fox School opened. A new fire station on Maple Street opened. And, commercially speaking, the village’s largest business venture opened as the Tradewinds Shopping Center. It wasn’t until 1969 that Dominick’s and Zayre, the two large anchors, opened. Zayre opened October 8 in 80,000 square feet while Dominicks, with Bob Johnson as the manager, opened December 13 in a 30,000 square foot store that eventually expanded to 65,000 square feet. The ad for Dominicks described it as “a truly modern and beautiful food store that was created and designed to make shopping an adventure, a pleasurable experience, the last word in exceptional convenience.” Given away that day were 40 bushels of groceries, gifts, balloons, piggy banks, and aprons and nylons for the ladies. Outbuildings in the shopping center included the First State Bank & Trust Company of Hanover Park and, more popularly, the St. George and The Dragon restaurant. This was the third restaurant in the old English-themed chain that featured pickles and peanuts at every table. 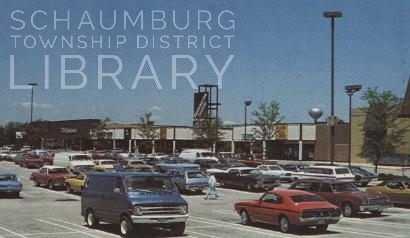 The shopping center eventually included the Hanover Park branch of the Schaumburg Township District Library, Ames and later Value City Furniture that took over the Zayre space, Rahl Jewelers, Hallmark and Radio Shack. 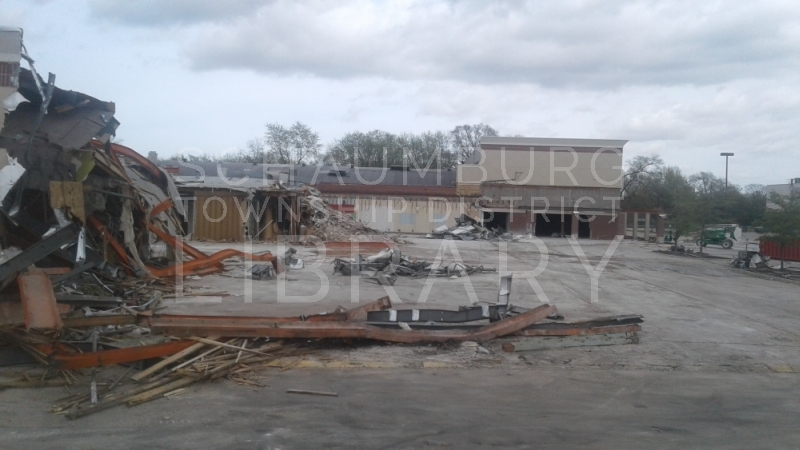 Unfortunately, during the first decade of the 2000’s the shopping center began to decline. Dominick’s pulled out sometime between 2002 and 2005. The theaters also closed during this time period. 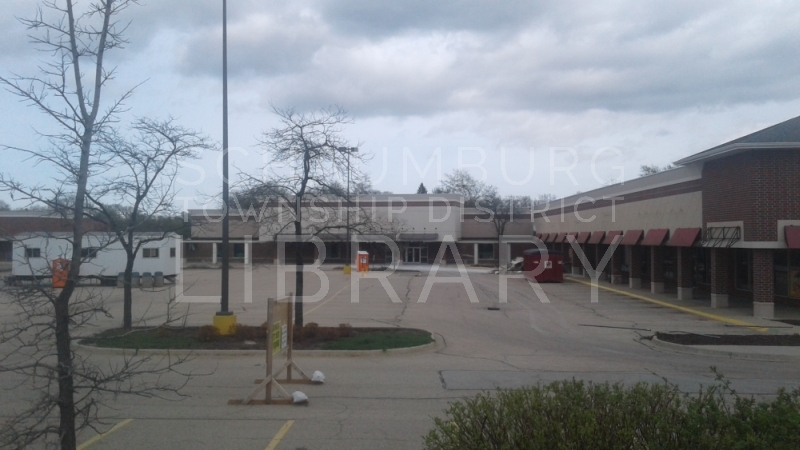 Then, in a double whammy in 2006, the library moved to its new branch on Irving Park Road and Menards purchased the entire shopping center property for about $9 million in preparation for their new store that stands there today. This perpetually busy corner, with the Tradewinds Shopping Center as its anchor, was a go-to spot for anyone living in Hanover Park for many years. Many stores came and went over the years besides those listed above. Can you help complete the list? Send in your comments or email me at the address below and I’ll add them as they come in. Thanking you in advance for your inclusions! 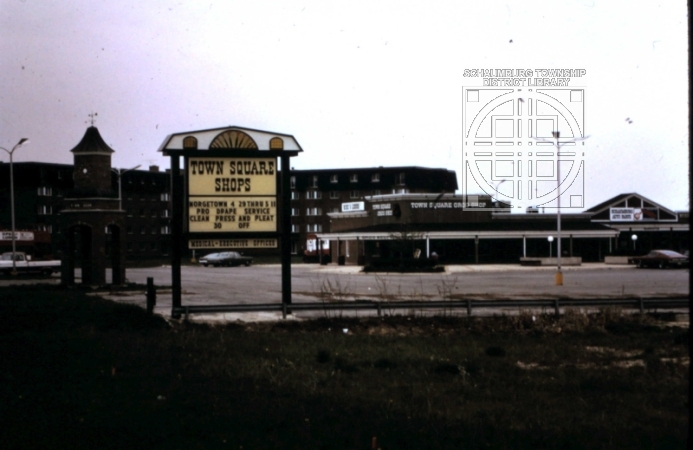 Last week I wrote a brief history of the first Town Square Shopping Center that opened in 1970 on the southwest corner of the intersection of Schaumburg and Roselle Roads. 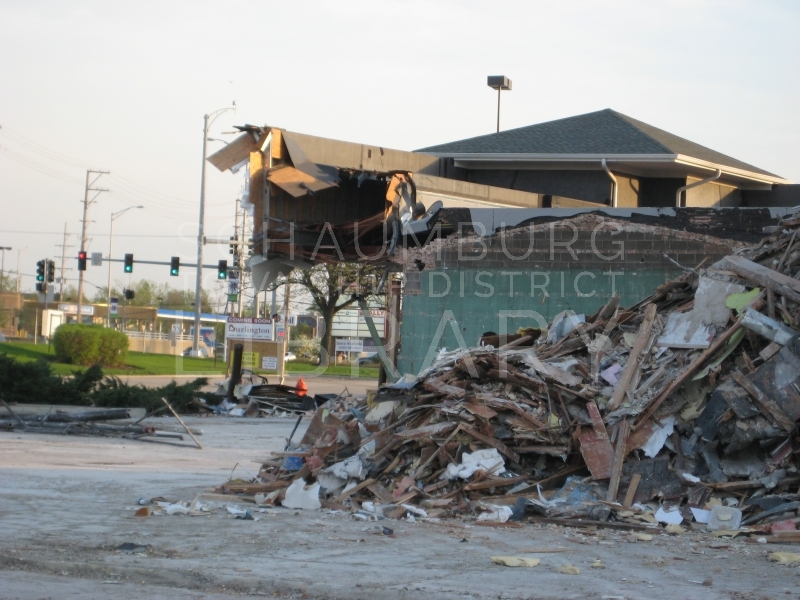 The center stayed in business until 1995 when it was purchased by the Village of Schaumburg. During those 24 years of operation, many businesses came and went. Below is a list of some of those establishments that occupied the low-slung, one-story, rustic mall that started operations just as the area was really taking off. This is a list of some of the tenants of the Medical Building that was at the west end of the shopping portion of Town Square–and not the separate building that came later. This building contained six medical offices. If you know of any others that I’ve missed, please send in your comments. It’s nice to have as complete a list as possible. Next week, the story of the Grog Shop and its origins! Thank you to Dr. Daniel Uditsky for sharing the information on the Medical Building. A year before the largest mall in the world drew its first customers, another shopping center in Schaumburg opened for business. 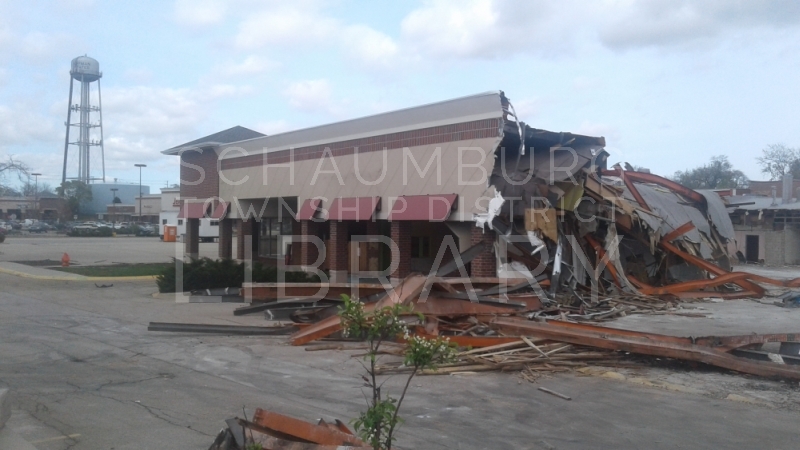 It was located at the intersection of Schaumburg and Roselle Roads and it was called Town Square. 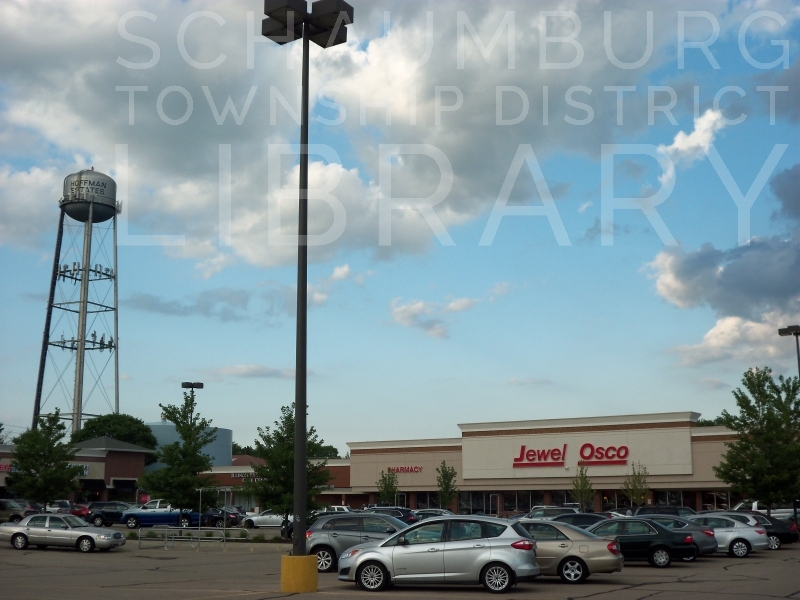 For over a century, this intersection had been the shopping hub of Schaumburg Township. The bank, hardware store, gas station, saloons, small grocery store, implement dealer, blacksmiths and Lutheran church and school had provided most of the services and sustenance the farmers needed to conduct their lives. With an ever growing, urban population, it became increasingly obvious that additional shopping and office space was needed near the growing Weathersfield, Timbercrest and F & S homes that were sprouting up every day. When the center opened, two other phases were planned as well as “a large lake and probably a clock tower.” (The Herald, February 24, 1970) One of the phases was to consist solely of medical buildings and a second phase was indeed built in 1975. (Daily Herald, June 23, 1980) They also intended to have a 10,000 square foot steak house and parking for 2200 cars! 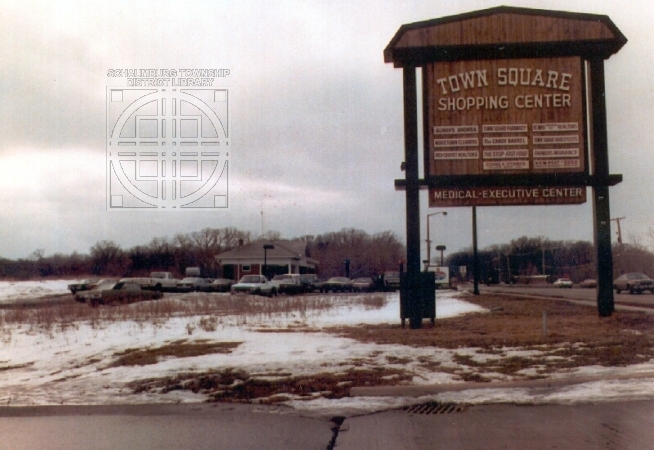 Town Square eventually grew into a large L with the long arm bordering the Town Square Apartments (now Condominiums) to the south and the short arm bordering Sarah’s Grove Townhomes to the west. 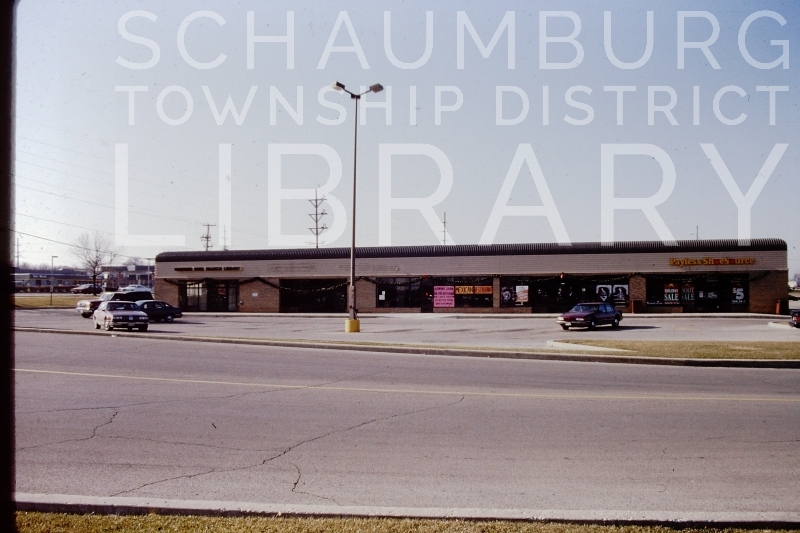 Per the Olde Schaumburg Feasibility Study, the long arm housed “twenty-four individual commercial and retail establishments as well as a separate cluster of professional offices” which was the short arm. In the middle of the L was a small pond, children’s zoo and sitting area. According to Cliff Skarr who owned the Town Square Pharmacy and eventually became president of the Olde Schaumburg Center Commission, the zoo area was called the Pet Park and was fenced in by the first owners of the development. He said the Park was designed by Don Eggelston and had ducks, geese, goats and a peacock as part of the menagerie. He also mentioned that the Jaycees built the gazebo in the center while tree plantings were done by other local groups. 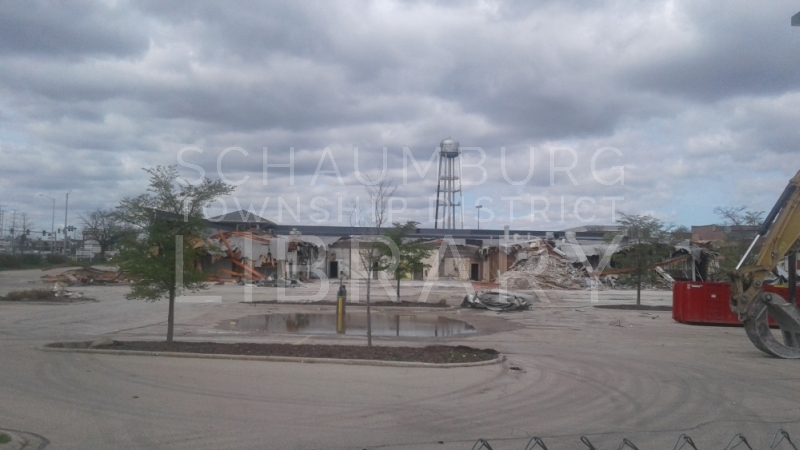 The shopping center was eventually bought from Arthur Frank in 1980 by Imperial Realty. According to the Daily Herald article of June 23, 1980, Frank had purchased the center in 1977–ostensibly from Shapiro and Associates. 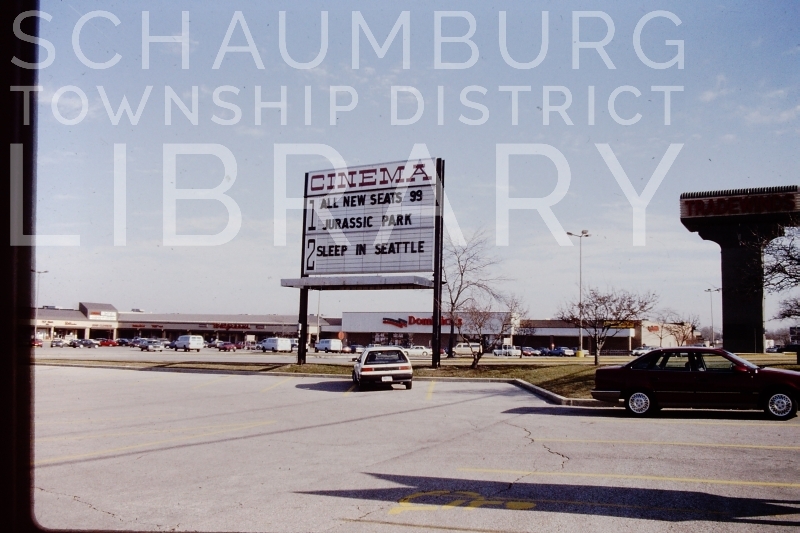 Imperial was caretaker of Town Square until the village of Schaumburg absorbed the property as part of a tax increment finance (TIF) district and purchased the center for redevelopment in 1995. The only building that remains from the days of the first Town Square is the Trickster Gallery which was built in 1976 as Lake Cook Farm Supply. 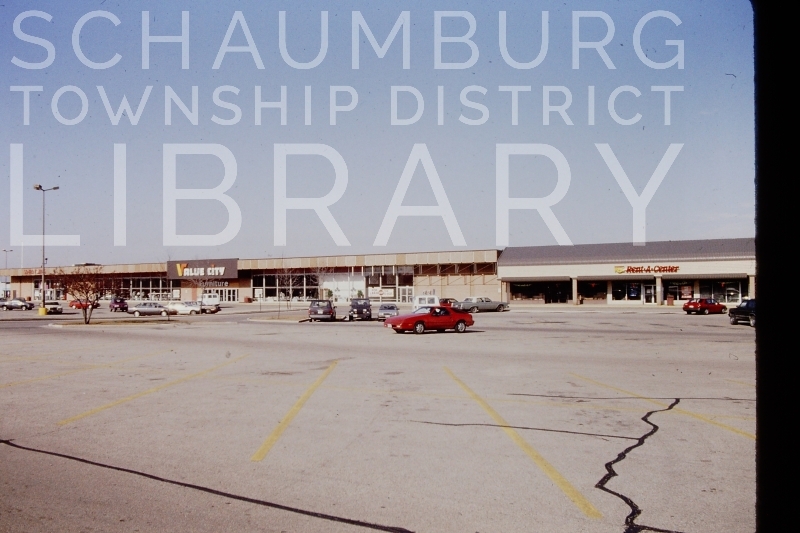 Town Square is now anchored by the venerable Schaumburg Township District Library and includes a number of commercial enterprises. It remains an important cornerstone of the township just as it did for the farmers of the 1850s and the early suburbanites of the 1970s. Next week look for a list of businesses that operated over the years. Maybe you can help us add to the list!